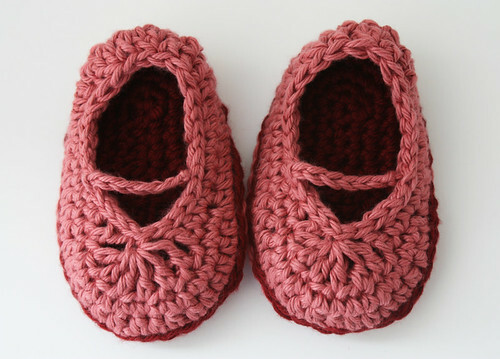 mad orange fools: Tiny Mary Jane Baby Booties! This is the little crochet project that I mentioned a few days ago. I discovered this Hook Candy pattern via Ravelry. It was hard to pick a pattern because they are all so incredibly cute! Anyway, it's fun being around the excitement of a baby on the way and I'm looking forward to being able to hang around a little one. I've always loved babies, but we haven't had friends with babies since Pittsburgh. And all my nieces and nephews are in the double digits now. And while the cats are our babies, it's not quite the same thing. It's also been nice to take a small break from constantly knitting up things to felt. I need to remember it's important to make room for other things sometimes! Like making baby clothes! 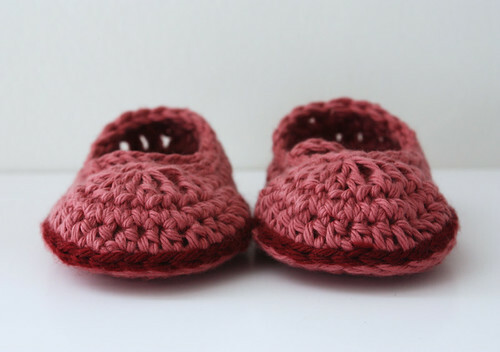 A couple of faraway friends have babies on the way so I'm thinking I might need to make some more of these little Mary Jane booties. those are the cutest things EVER!! !